In his new novel, Ian Rankin delves into the Edinburgh artworld, bringing the ultimate heist to the National Gallery of Scotland. Doors Open is filled with descriptions of great paintings, including one imagined by Ian Rankin himself. We are giving one Waterstone's Cardholder the chance to win this painting as described in the book, by the fictional artist Monboddo. Ian Rankin worked with artist Max Schindler to bring his fictional piece of art to life exclusively for Waterstone's. Go to the competition here and read the Euro Crime review of Doors Open, here. 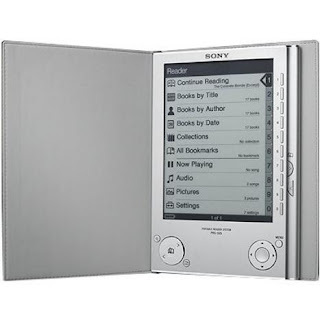 Well sadly I didn't win a copy of a Sony Reader in the recent Waterstone's competition but Kim at Reading Matters has been sent a review copy and gives her first impressions as she 'uses it in anger' on a train journey. Read her post - here. I've had a peep at one in the local branch of Waterstone's and it seems easy to use (can't vouch for getting the books onto the thing though) and has a nice and clear font/background - the middle and large text sizes suited me but the small was a bit too small for my eyes. I look forward to reading more about it from Kim. and Fiona Walker reviews the International Dagger nominee A Deal With the Devil by Martin Suter calling it "an incredibly enjoyable, gripping and dramatic book". 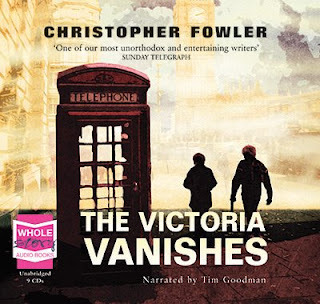 I've put together an amazon list of the Doctor Who, Torchwood and The Sarah Jane Adventures audio books released in 2008. Visit it here. I have borrowed some of these titles from the library, bought a couple off ebay and now have a review copy of Torchwood: Lost Souls. I've previously reviewed some here, here and here. 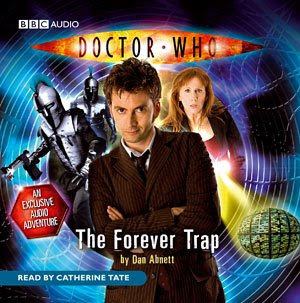 The next release from the BBC is The Forever Trap, an audio exclusive story, narrated by Catherine Tate and released on 9th October. Synopsis: When the TARDIS is invaded by a holographic marketing scam, the Doctor and Donna find themselves trapped on the Edifice, a purpose-built complex of luxury apartments in space. Their new environs leave much to be desired: millions of beings from across the Universe have been gathered to live side by side in similar apartments. Instead of creating neighbourly affection, it’s led to terrible battles being waged in the corridors and on the stairwells. The Doctor and Donna must cross the paths of deadly alien mobs as they search for the Edifice’s ultimate authority. Who – or what – lies at the heart of the incredible complex? What destructive scourge is eating away at the Edifice itself? And are the Doctor and Donna trapped forever in this living hell? You can listen or download (68 MB) samples of narration by Elizabeth Sladen, David Tennant and Freema Agyeman from the BBC Doctor Who shop site. The last few posts were inspired by my research for the forthcoming titles pages. I scheduled the posts to appear whilst I've been cycling in Norfolk. I've only averaged 50 miles a day but I'm somewhat out of practise and am fairly shattered. I shall be collecting Foxy and his friends from their temporary prison asap tomorrow morning :-). 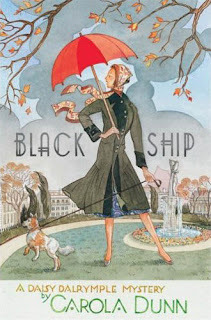 Carola Dunn's Black Ship is out any day and is the 17th of the Daisy Dalrymple books. 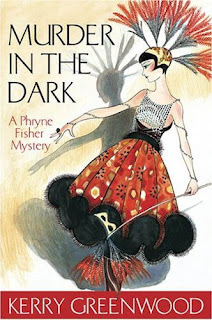 Australian Kerry Greenwood has finally got a UK publisher (Orion) for her Honourable Phyrne Fisher series which saves me from importing them any more. 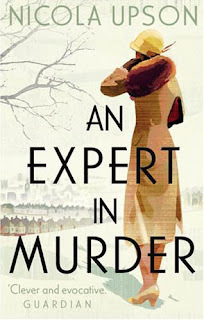 Murder in the Dark is the 16th in the series and was published earlier this month (in the UK). Mark Pearson's Hard Evidence will be out in January. Mo Hayder's Ritual is reviewed here. and Stuart MacBride's Dying Light is reviewed here. 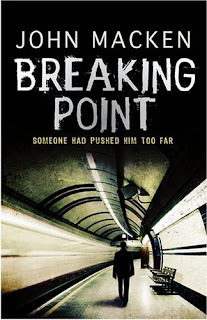 John Macken's Breaking Point and Jack Higgins' Breaking Point are both out in Jan. 2009. I've finally acquired a Nintendo DS and so far I've only got the Scrabble game but I intend to get Nancy Drew games and maybe the CSI game. But coming soon...is a James Bond game for the DS (and the other popular platforms). The Quantum of Solace game will cover events from both Casino Royale and Quantum of Solace and will have the likenesses and voices of the main stars: Daniel Craig, Judi Dench, Eva Green and so on. The release date is to coincide with the film ie 31st October. • Cinematic Appeal – The game narrative accentuates key movie events from both “Quantum of Solace” and “Casino Royale,” as players control James Bond through in-game conversations with multiple narrative options. Choosing the right one can unlock new abilities and uncover special items. Read more about the game on the Quantum of Solace DS fact sheet. Joan Collins is to star in the next hour-long episode of Miss Marple. The 75-year-old will play Ruth Van Rydock alongside Julia McKenzie, who took on the role of the famous detective last year. Collins's appearance in They Do It With Mirrors is reportedly a dream come true. "It has always been Joan's dream to star in Miss Marple... She is one of the main characters and has some great scenes," a source is quoted as saying. and Maxine Clarke continues with her odyssey through Sjowall and Wahloo's Martin Beck series, this time she reviews The Fire Engine That Disappeared which is as good as the previous four. I've just uploaded an updated version of the website's News page. 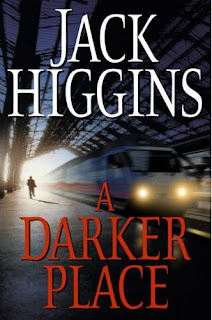 Lots of reviews of Ian Rankin's new book and a few of the new John Le Carre novel in the recent UK press. I've just watched Film 2008 on iplayer and Mr Ross gives an excellent review (at about 16 minutes in) for the new thriller, The Chaser, which was released in the UK on the 19th. Soon to be remade by the team that brought you the hit film The Departed, The Chaser is a stunning and visceral Korean detective thriller based on a true story that enthralled the Korean nation. Jung-ho is a former cop who has moved the dark side, working as a pimp. However his girls have started disappearing. When he unwittingly sends Min-jin his last girl remaining to meet with the killer, it is up to Jung-ho to find his girl, catch the killer and prove his own innocence. And he has only twelve hours to do it. There's also the briefest of comments from Daniel Craig about the new Bond (26 1/2 mins in). You can watch Film 2008 on iplayer until the end of Tuesday. I've updated the amazon list of scandinavian crime fiction due out in 2009 with three new additions at the bottom. I couldn't resist this bargain yesterday in the Oxfam shop - a brand new copy of Norway to Hide by Maddy Hunter for £1.29. This is the sixth in the Passport to Peril series which has so far visited Switzerland, Ireland, Italy, Hawaii, Australia and now Scandinavia. I haven't read any of them before but I do like US cozies as well as my Euro Crime. From the back cover: "Sure, Jackie Thum's newly published novel might not be Hemingway, but bad reviews from her fellow travelers have Emily Andrew's transgender ex-husband (Jackie was formerly Jack) steaming like a sauna. It's a dismal start to their Scandinavian tour, and group leader Emily is getting that sinking feeling in Helsinki: something fishy this way comes. When Jackie's most outspoken critic, a Floridian from a picture-perfect gated community called The Hamlets, is found dead, suspicion falls on Jackie -- who surprises everyone with an airtight alibi. But when another guest turns up dead, Emily realizes there is a killer hiding among them. Herrings, both red and pickled, abound on a Norwegian fjord cruise -- and Jackie is suddenly nowhere to be found. With her mother arranging a wedding disaster for Emily back home in Iowa, Emily must somehow salvage her nuptials from overseas while icing a killer -- before someone else meets a nasty Finnish." 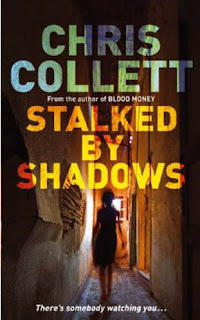 Chris Collett's Stalked by Shadows is out in January whereas Alison Joseph's A Violent Act is slated for August. UPDATE: A Violent Act is actually out this month, amazon's date is wrong, so it's vice-versa on who got there first! (Thanks to Allison & Busby for pointing that out). Sean Bean is part of the ensemble cast in a new series of TV crime thrillers to be shown on Channel 4. The Lord Of The Rings actor will join Andrew Garfield, David Morrissey and Paddy Considine in Red Riding. The three-part series is an adaptation of David Peace's trilogy of novels set in Yorkshire in the 1970s and '80s. Executive producer Andrew Eaton remarked that Red Riding explores issues of morality and human nature. He said: "This is a gripping drama that takes a look at human nature in a time of uncertainty and a culture that has lost its moral compass." The track sees the singer trading vocals with Keys over a horn section with White singing: "Another blinger with the slick trigger finger for Her Majesty." Keys responds with: "Another one with the golden tongue poisoning your fantasy." Currently there's 20% off her titles. See here for the whole list. Until 15 October, David Hewson's A Season for the Dead can be read online or downloaded from this site. This is the first of the Nic Costa series, which now numbers seven, and is set in Rome. 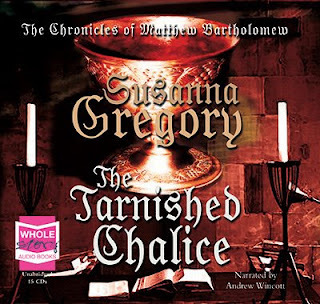 I reviewed the audio book a while ago. 1. 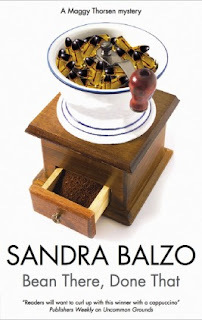 Bean There, Done That by Sandra Balzo. 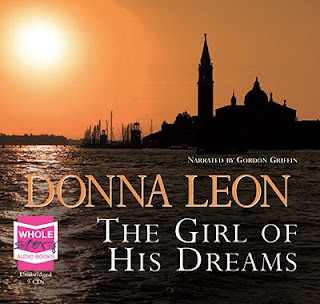 A post on DorothyL from the author prompted me to check out of the library her third book in this series about coffee house owner, Maggie Thorsen which is set in a Milwaukee suburb. 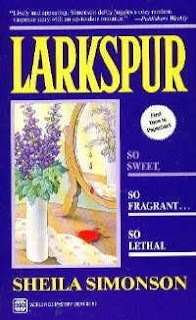 The first one in this series was Uncommon Grounds (the name of the shop) and was very fine indeed and received several best first novel nominations. I felt the second book, Grounds for Murder, was less enchanting but this one is a return to form. Will definitely make you want to reach for a latte. 2. Getting Away is Deadly by Sara Rosett. Again this is the third in the series but I haven't yet read the previous two. I won a copy of the hardback via murdermostcozy yahoo group and I loved it. It's set in Washington DC and a group of air force wives take in the sights whilst their husbands are on a training course. They soon stumble across a murder. I really enjoyed revisiting the tourist hot spots plus a few I haven't been to and the mystery is strong. I have reserved the earlier two from the library and I'll see if the non DC setting makes them less enjoyable or not. 4. 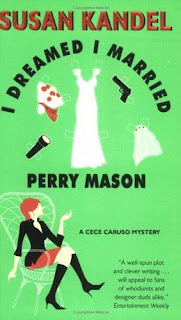 I Dreamed I Married Perry Mason by Susan Kandel. A more recent acquisition but even so I've had it three years, amazingly! Another excellent find and I've ordered the next two off Amazon. The first in a series which features LA based biographer Cece Caruso. In this one she's tackling Earl Stanley Gardner and there's plenty of information on him and Perry Mason which I loved. The mystery is less taxing but it didn't matter! The next one is about the authors behind Nancy Drew which I'm really looking forward to. 5. 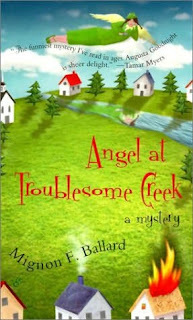 Angel at Troublesome Creek by Mignon F Ballard. 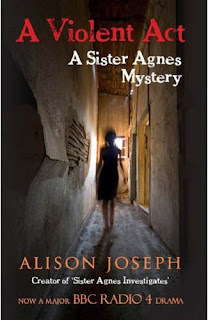 This is a series about a guardian angel - August Goodnight - and in this one, the first in the series she comes to the aid of a depressed young woman - an orphan - whose last bit of family, an aunt has been murdered. I liked the book but didn't much take to the 'angel' as she's not in it much and I preferred the woman she was helping. I would carry on with the series if it was her series. I own the third in the series as well - I may read it at some point but have no plans to buy any more. North Carolina setting. 6. A Love to Die For by Christine T Jorgensen. This is the first of the Stella Stargazer series set in Denver. Another book I've had over ten years. Initially I thought I wasn't going to like it but it got better. 'Stella' is ex-accountant Jane who has ditched her job, boyfriend and home to change into Stella and write an astrological column in the weekly paper. She's also slightly psychic and with her first letter from the public she gets a 'flash' of a dead body. As she knows details she shouldn't she soon becomes a suspect in a murder case. I'm glad I stuck with it and I have the remaining four already on the shelves to read. Amanda Brown reviews the new book from Lin Anderson, Easy Kill. This series features forensic scientist Rhona MacLeod and is set in Glasgow. And Edinburgh is the setting for Ian Rankin's post-Rebus novel, Doors Open, which is reviewed by Pat Austin. The three parter of A Place of Execution will begin on Monday 22 September 9-10pm on ITV1. Read more about episode 1 on the itv press site. The trailer has been running on itv mixed in with a trailer for Wired which stars Laurence Fox, Jodie Whittaker and Toby Stephens. 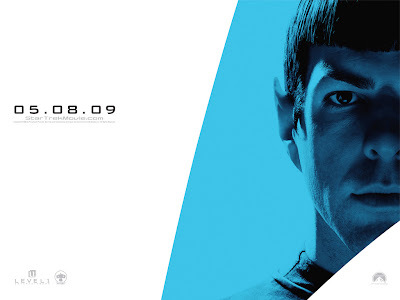 Quite a few months until the release of the new Star Trek film but the official website has a few images of the "younger" versions of Kirk, Spock, Uhura etc. 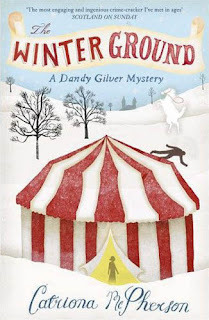 New York Times bestselling author Jacqueline Winspear's seventh and eighth books in her series featuring psychologist and investigator Maisie Dobbs, following Jennifer Barth to Harper, for publication beginning in spring 2010, Amy Rennert at Amy Rennert Agency (NA). TV rights to Sally Head Productions, producer of the Prime Suspect series, by Sean Daily at Hotchkiss and Associates, on behalf of Amy Rennert. Storm clouds raced over the barren plain between the fortifications and the goods station at Les Batignolles, where the scrubby grass smelled unpleasantly of sewers. Rag-and-bone men, grouped around carts filled with household rubbish, were using their gaffs to level the mounds of detritus, raising eddies of dust. A train approached from far in the distance, gradually getting bigger and bigger. Jean Mering straightened up and, hands on hips, leant backwards to relieve his aching joints. It had been a good haul: a three-legged chair, a rocking horse that had lost its stuffing, an old umbrella, a soldier's epaulette and a piece of wash-basin rimmed with gold. He turned towards Henri Capus, a lean old man with a faded beard. 'I'm going to see the Redskins. Are you coming?' he said, adjusting the wicker basket on his shoulders. He picked up his chair, passed the Cook Agency vehicles and joined the crowd of onlookers gathered around the station, a mixture of workmen, petit bourgeois, and high society people who had come in carriages. With a great hiss of steam, a locomotive followed by an endless convoy of coaches pulled up beside the platform. A covered wagon stopped in front of Jean Mering. Inside, panic-stricken horses were stamping wildly, and tossing their manes. Sunburned men in cowboy hats and Indians with painted faces and feather headdresses leant out of the doors. Everyone was jostling to catch a glimpse. Jean Mering slapped the nape of his neck: an insect sting. Immediately he faltered, slid sideways, staggered, and then stumbled against a woman, who pushed him away, thinking he was drunk. His legs buckled and, as he lost his grip on the chair, he sank to the ground, dragged down by the weight of his basket. He tried to raise his head but already he was too weak. He could faintly hear Henri Capus's voice. His eyes were watering and his sight was becoming blurred. Amazingly, in the space of just a few minutes, his whole body had become as limp as an old rag. He could no longer feel his limbs, his lungs were straining for air. In his last moments of lucid thought he knew that he was about to die. He made a final effort to cling to life, then let go, slipping into the abyss, down...down...down... The last thing he saw was a dandelion flower, which was blooming between the paving stones, as yellow as the sun. A rag-and-bone man from Rue de la Parcheminerie has died from a bee-sting. The accident occurred yesterday morning at Batignolles station as Buffalo Bill and his troupe arrived in Paris. Bystanders tried in vain to revive the victim. The enquiry has revealed that the dead man was Jean Mering, 42, a former Communard who had been deported to New Caledonia but returned to Paris after the amnesty of 1880. The man crumpled the newspaper into a ball and tossed it into the waste-bin. Wearing a tight new corset that creaked with every step, Eugenie Patinot walked down Avenue des Peupliers. She felt weary at the prospect of what already promised to be an exhausting day. Endlessly pestered by the children, she had reluctantly left the cool of the veranda. 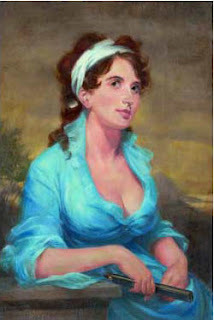 If outwardly she gave an impression of dignified composure, inside she was in turmoil: tightness in her chest, stomach cramps, a dull pain in her hip and, on top of everything, palpitations. Eugenie stopped and opened her reticule to make sure that she did have the tickets, which her brother-in-law had bought several days earlier. 'Hurry up, Aunt,' urged Marie-Amelie. Eugenie glared. The child really knew how to annoy her. A capricious little boy, Hector was hardly any better. Only Gontran, the eldest, was tolerable, as long as he kept quiet. There were about ten passengers waiting at the omnibus station on Rue d'Auteuil. Eugenie recognised Louise Vergne, the housemaid from the Le Massons. She was carrying a large basket of linen to the laundry, probably the one on Rue Mirabeau, and was quite unselfconsciously wiping her pale face with a handkerchief as big as a sheet. There was no way of avoiding her. Eugenie stifled her irritation. The woman was only a servant but always spoke to her as an equal, with overfamiliarity, and yet Eugenie had never dared point out this impropriety. 'That would be no bad thing,' muttered Eugenie. Omnibus A, drawn by three stolid horses, stopped by the pavement. Marie-Amelie ran upstairs. 'I can see your drawers,' shrieked Hector, following her up. 'I don't care! From up here everything's beautiful,' retorted the little girl. The fourth book in the series will be published next year. and our regular historical crime fiction reviewer, Terry Halligan says that Peter Tremayne's The Council of the Cursed is the best historical mystery he's ever read. Following on from the announcement earlier in the year that Kenneth Branagh is to play Wallander, the press release accompanying The Pyramid, a collection of 5 Wallander stories to be published in October, suggests that the air date will be 23 November. One Step Behind, Firewall and Sidetracked will be shown as 90 minute episodes. The tie-in paperbacks will be published on 20 November. 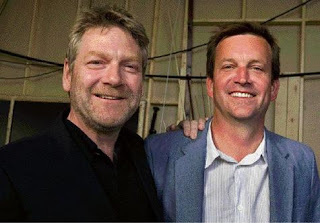 And good news for the other side of the pond, according to the Kenneth Branagh Compedium: "Shot in rarely seen locations in southern Sweden, "Wallander" is to air on "Masterpiece Mystery" on PBS in the spring or summer of 2009." Is there more in store for Detective Nic Costa? Lots. I had qualms about moving from standalone novels to a series, but when I did I felt the only way to approach it was with the idea that these books would run on forever. I didn’t want to run out of steam around book five or so, as so often happens. That’s why the second Costa book, The Villa of Mysteries, which is the first written for the series, brings in more characters and widens the perspective of the stories. I want sufficient texture and depth to keep me hooked. I’ve just finished the sixth and I’m about to launch into the seventh as keen as ever so I guess that must be working, for me anyway. I’m committed to writing nine Costa books contractually but I adore these characters and the stories they bring forth. I intend to keep on writing them for as long as people want to read them. The news page has been updated on the website with links to recent reviews and interviews in the major UK papers. 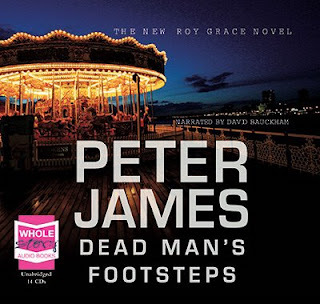 Most of the attention has been on P D James and Ruth Rendell/Barbara Vine and their new books with Kate Atkinson's, When Will There Be Good News? coming in third. Val McDermid's new book, A Darker Domain, also gets a couple of reviews. 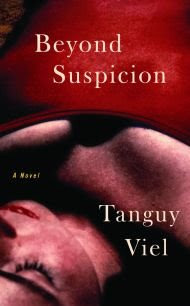 I've just added the following title, Beyond Suspicion by Tanguy Viel, to my French crime fiction published in 2008/9 list on amazon. The US publication date is November 2008, with the UK edition coming out the subsequent month. 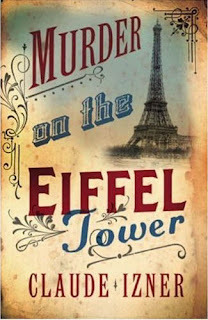 Synopsis: Bestselling French wunderkind Tanguy Viel, heir to the legacy of Georges Simenon, has created his own literary genre in the noir tradition: thrillers with Proustian attention to detail and Freudian insights into his characters. A master of style and suspense, Viel explores moral dilemmas in poetic language rarely found in a crime novel. Called "a marvel of grace and precision" by the French press, Beyond Suspicion is a story of marriage, murder, and double-crosses. Set in the south of France where the stakes are high and no one is beyond suspicion, this Hitchcockian tale presents siblings and lovers in constantly shifting configurations. The grace and precision of Viel's language are eloquently captured by prizewinning translator Linda Coverdale's lyrical prose. 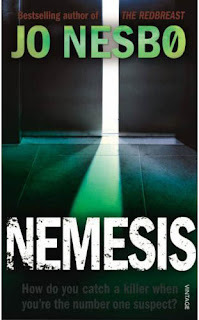 Win a copy of the paperback of Nemesis by Jo Nesbo. Details on how to enter are on the Competition page - NO geographical restrictions this month. It seems Rennie Airth is consistent. 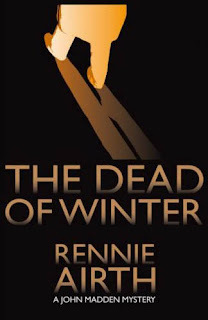 The Dead of Winter is to be published five years after the publication of The Blood-Dimmed Tide which itself was five years after River of Darkness. The series stars shell-shocked detective John Madden, first in the 1920s and moves on to the 1930s for the second book. I loved River of Darkness and a third book in the series is an event to look forward to. Synopsis: He could see in searchlights probing the night sky, illuminating the barrage balloons which floated like giant moths above the darkened city to hinder the approach the V-2s which descended without warning like thunderclaps and which Londoners had come to fear more than any other weapon used against them. During a blackout on the streets of London on a freezing evening in late 1944, a young Polish land girl, Rosa Nowak, is suddenly and brutally killed. For the police, their resources already stretched by the new war regulations and the thriving black market, this is a shocking and seemingly random crime. No one can find any reason why someone would want to murder an innocent refugee.For the former police inspector John Madden, the crime hits close to home. Rosa was working on his farm and he feels personally responsible for not protecting her. His old colleagues Angus Sinclair and Billy Styles are still at the Yard but struggle to make sense of their few clues. Their only lead points towards Europe - but as the war rages across the continent, will they find the killer before he strikes again? The Dead of Winter is due out in May 2009 (UK).